KABUL -- Afghan opium producers have had a bumper year with output increasing by 87% alongside a record expansion of the area under poppy cultivation, the United Nations' latest annual survey said Wednesday (November 15). However, poppy eradication has almost doubled to 750 hectares (1,850 acres) in 14 provinces so far in 2017, compared with 355 hectares (877 acres) in seven provinces during the same period in 2016. The Taliban, who banned poppy cultivation when they ruled Afghanistan, now appear to wield significant control over the country's heroin production, which provides militants with a huge influx of cash to fund their activities. As a result, officials say, the Taliban is Afghanistan's top drug cartel. The farm-gate value of opium in Afghanistan this year -- the estimated value of the opium produced -- soared by 55% to almost $1.4 billion (103.8 billion AFN), the UN Office on Drugs and Crime (UNODC) said. According to the Afghanistan Opium Survey, jointly compiled by the UNODC and Afghanistan's Ministry of Counter Narcotics, potential opium production from this year's harvest is estimated at 9,000 tonnes, up 87% from the 4,800 tonnes produced last year, boosted by increased cultivation and better yields. Over the same period, the area under poppy cultivation expanded by 63% to a record 328,000 hectares (810,500 acres) -- topping the previous record of 224,000 hectares (553,500 acres) in 2014 -- with the number of poppy-growing provinces jumping to 24. Only 10 Afghan provinces, out of 34, are now considered poppy free. Increases in cultivation were recorded in almost all major poppy producing provinces, with Helmand seeing the biggest rise, at 79%. About 60% of opium poppy cultivation took place in the southern provinces, where the Taliban have a strong presence. Helmand remained the top poppy-cultivating province, accounting for 44% of the total, followed by Kandahar, Badghis, Faryab, Uruzgan and Nangarhar -- all hotbeds for Taliban or "Islamic State of Iraq and Syria" (ISIS) activity. The Afghan government and its international allies, seeking to reverse this dangerous trend, recently developed and started implementing the Afghan National Drug Action Plan (NDAP). "The objectives [of the plan] include reducing opium poppy cultivation, reducing drug production and trafficking, reducing demand for drugs, strengthening the Counter Narcotics Police, enforcing the law, strengthening the security of Afghanistan's borders, preventing the entry of chemicals used in production of heroin, increasing the capacity of treatment centres for drug addicts, raising public awareness, and supporting farmers and landlords and providing them with livelihoods and alternative agricultural products to replace poppy cultivation," Mohammad Hanif Danishyar, a spokesman for the Ministry of Counter Narcotics, told Salaam Times. Recent efforts include encouraging farmers to switch to other cash crops such as saffron. 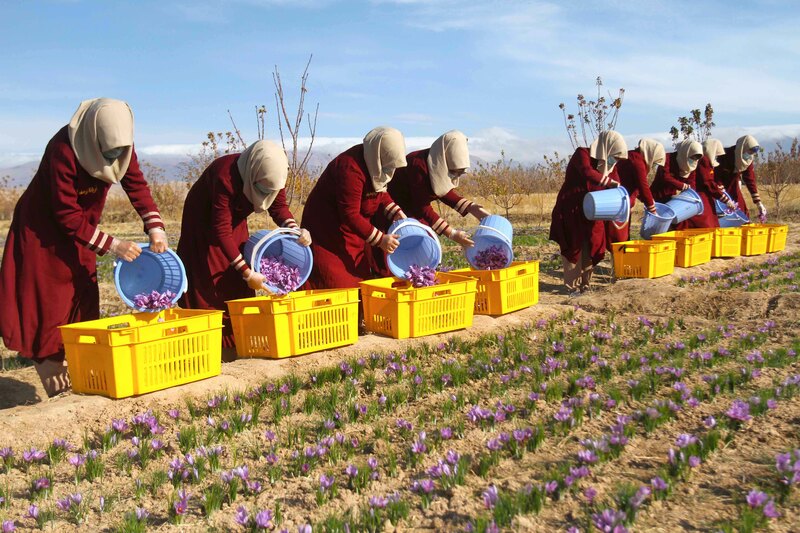 Afghan saffron production increased by 20% this year, providing a 33% bump in revenues from the golden flower, officials announced at the Fifth National Saffron Conference held in Kabul November 6. 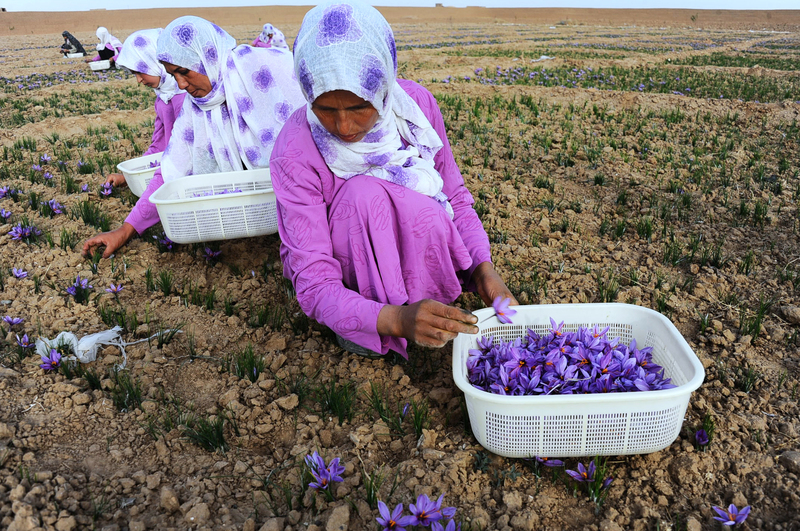 Furthermore, the total land cultivated for saffron increased from 2,500 acres to more than 3,000 acres, including in Helmand Province. In addition to other crackdowns, the Counter Narcotics Police conducted 1,354 operations nationwide during a period of seven months last year, Interior Ministry spokesman Sediq Sediqqi said in a November 2016 news conference. The operations resulted in more than 1,500 arrests and authorities destroyed 42 drug labs. 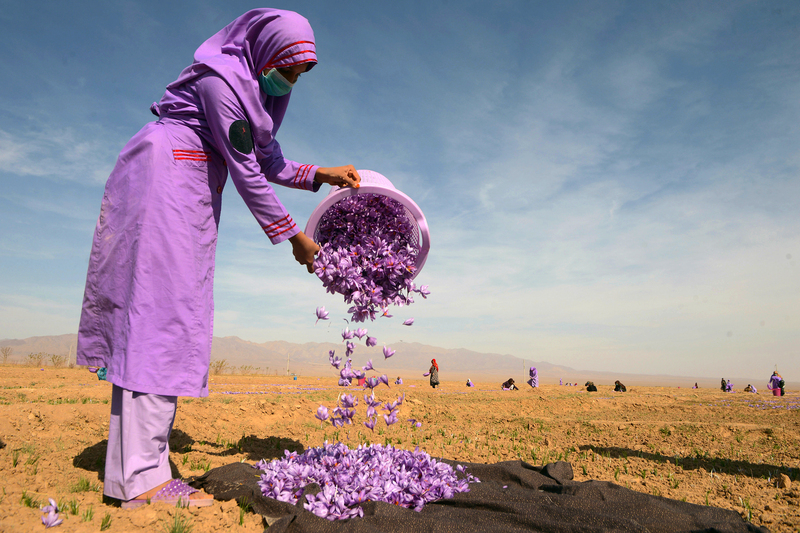 Saffron is becoming more profitable for Afghan farmers -- both men and women -- and exporters.